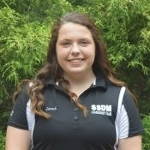 This year, I am the student engagement leader for SSDM. My goal is to get as many students involved in our event as possible and make sure they are aware of the impact we, as a school, have been making and will continue to make. We are doing great things and I want every student to be able to see how amazing they can be!